Digging within the first beta of iOS 11.3 has discovered evidence that a new iPad with Face ID and thinner bezels could be in the works, supporting rumors that such as device is on tap for launch later this year. 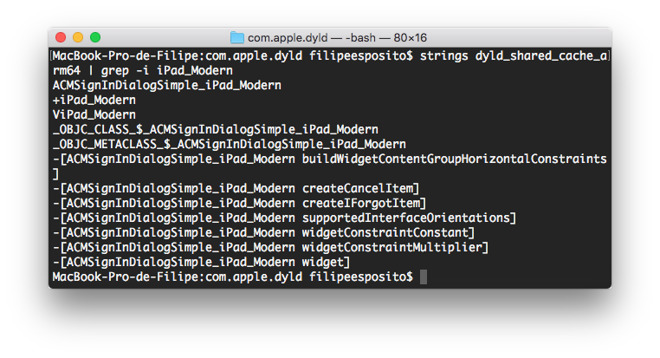 Felipe Esposito of iHelp took to Twitter to reveal that multiple strings of code within iOS 11.3 make mention of a so-called "Modern" iPad. Notably, iOS 11 pre-release betas referenced a "Modern" iPhone before the iPhone X was officially unveiled. Software sleuths have seen the mention of a "Modern" iPad as evidence that an iPad Pro with Face ID, just like the iPhone X, could be around the corner. To date, multiple rumors have already claimed that a 2018 iPad Pro update will ditch Touch ID for Face ID, just like the iPhone X before it. 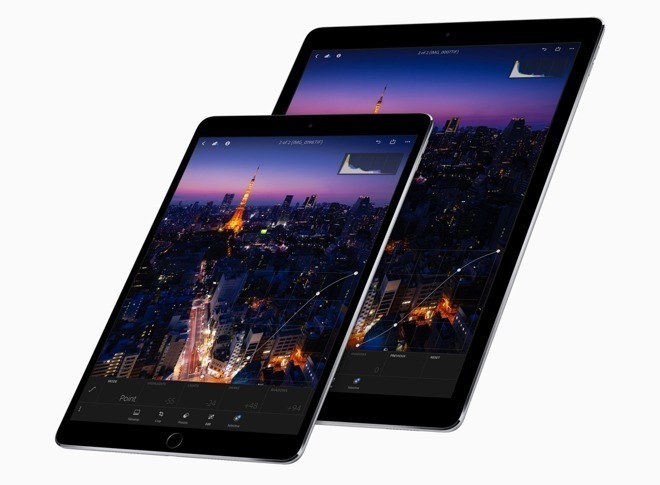 However, it's unlikely that a new iPad Pro with Face ID would have a bezel-free design like the iPhone X, as that utilizes a costly OLED display that would be too pricey for a 10-plus-inch iPad panel. Switching to Face ID would, however, allow for Apple to greatly reduce the "forehead" and "chin" of the iPad Pro, as there would no longer be a need for the home button with Touch ID sensor. And thinner bezels would allow for reduced size and weight, particularly on the 12.9-inch model, while also housing the Face ID sensor without the need for a "camera notch" like is found on the iPhone X. It's expected that 2018 iPad Pro models with Face ID will be powered by an 8-core "A11X" processor, enhancing the A11 Bionic CPU found in the iPhone 8 and iPhone X.